In my on going battle to build a better headlight I saw in a fb group about making one from a energizer head light. It's basically a light that you strap to your head for working in dark situations and emergencies. 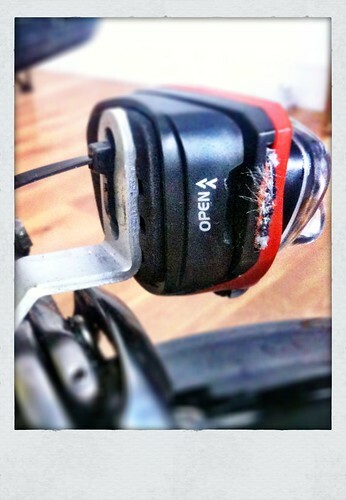 I just undid the head strap, made a couple of holes to put bolts though to attach it to the headlight mount on Bumble B. But I found to use bolts I would have to file down the ends as it is a tight fit with the batteries installed. So instead I used a zip-tie and tied it on tightly to the headlight mount. 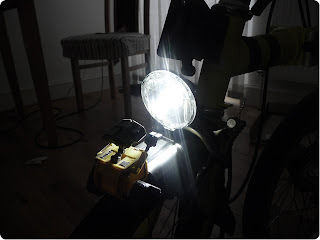 Also needed to glue the led part to base as this can rotate forwards but on riding a bike the bumps would probably shake it and the beam would look straight down at the wheel. Not good if I want to see where I'm going. Only thing I'm worried about is that this is not waterproof. I'll see how this one goes as I've looked and there is a waterproof version of this headlight which I may get at later date. 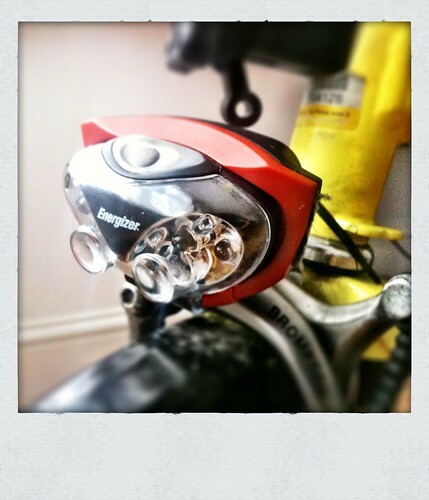 Maybe better than getting the £130 headlight I was thinking of getting last week that's for sure. I still have the other headlight to work with in any case.